On a daily basis patients of mine come in for office visits complaining of wear and tear injuries, as well as aches and pains, and their methods of dealing with chronic pain. As we all know, aging is a part of the normal life process. For instance, as we approach 70 years old we typically lose three quarters of our functioning kidney cells (nephrons) but do well with our limited reserve as long as we do not constantly call on that reserve. When we take nonsteroidal anti-inflammatory drugs like ibuprofen and naproxen to relieve pain we are challenging that reserve leading seniors to look for alternatives. Opioids, even when appropriate, have become taboo so alternatives are being searched for. Medical marijuana has become a very hot topic recently. It is being heavily marketed as a pain relief alternative in several forms. However, what little legitimate research has been conducted indicates it is not very good at relieving non cancer related chronic pain. Not a day goes by when several patients reveal they are using cannabis products obtained out of state for pain relief with no consideration of how it interacts with the medications they are already taking. Recently, strong public relations campaigns for legalizing medical marijuana have led to its legalization in different forms, in various states, even if it doesn’t work. A select group of investors have positioned themselves to make vast sums of money from a product with little documented upside and potentially unknown downsides. At the same time that medical marijuana enters mainstream medicine there is a similar legislative and marketing push to legalize marijuana for recreational use. Once again, a well-financed lobby of investors is trying to sell the concept of marijuana being less troublesome than legalized tobacco or alcohol. In the last few weeks there have been several articles appearing in reputable medical journals and periodicals such as the Wall Street Journal, New York Times and New Yorker magazine all examining the known results of liberalizing marijuana use in three states. First of all, today’s marijuana is far stronger and potent than the “love generation’s” weed of the 1960’s with a higher percentage of the hallucinogen THC. To that point, states that have legalized marijuana have seen a tripling of visits to the emergency department for psychotic behavior. Also, violent crime and murders have tripled in many jurisdictions. A growing body of evidence indicates auto accidents have increased as a direct result of marijuana’s use. Medically speaking, there is little research evaluating marijuana as a drug. Many questions remain. What is the minimal dosage to create an effect? What is the dosage that can cause medical illness? How does the mechanism of delivery affect the final effects such as smoking versus vaping versus eating the product? Beyond the stoners’ credo of “start low and go slow” there is little data to evaluate the product as a pharmaceutical drug and or how it can interact with other drugs prescribed for you. I am far from an anti-marijuana critic. I’d just like to know what I’d be getting in to before I consider hallucinating. It seems to me that before we liberalize marijuana use, the product needs to be put through the type of research and scrutiny the old Food and Drug Administration (FDA) put a product through before it was approved for public use. C. Kent Kwoh, M.D., of the University of Arizona in Tucson reported results of a study to examine whether individuals who take glucosamine showed evidence of structural benefits in the treatment of their knee arthritis on MRI scans and in biochemical markers of cartilage deterioration. The study appeared in the online version of Arthritis & Rheumatology. There is a big retail market for glucosamine with more than one in ten U.S. adults using it for relief of arthritic pain. Many studies have been done but most were sponsored by manufacturers of glucosamine so the results are felt to be reliable. Worldwide sales of glucosamine top $2 billion dollars per year. To evaluate the substance, Dr. Kwoh found 201 volunteers from his community with chronic knee pain. The patient’s mean age was 52 years old. More than 50% were women. Their body mass index averaged 29kg/m2 indicating they were not grossly overweight. They were randomized and blinded into two groups one receiving 1500mg of glucosamine hydrochloride (Reganasure) or a placebo in a 16 ounce bottle of a diet beverage. They then followed the patients for six months recording their pain evaluations, their changes on MRI images of their knees and noting any difference in the levels of C-terminal telopeptide of type II collagen – a marker of collagen deterioration. The results showed no differences between the glucosamine and placebo group. No one has shown that glucosamine is harmful to anyone. It would be helpful if the study ran for more than six months since arthritis is a long term episodic disease. The investigation of supplements and alternative treatments is long overdue so this scientific study is welcome. It just needs to be continued for a longer period of time to satisfy those who use the product and have gotten relief. The National Institute of Health Division of Alternative and Complimentary Medicine has said that if a treatment works, and its results can be reproduced, then it is not alternative therapy. Such a wise mantra is at the heart of a study published in the May/June issue of the Annals of Family Medicine and recently reviewed in MedPage. 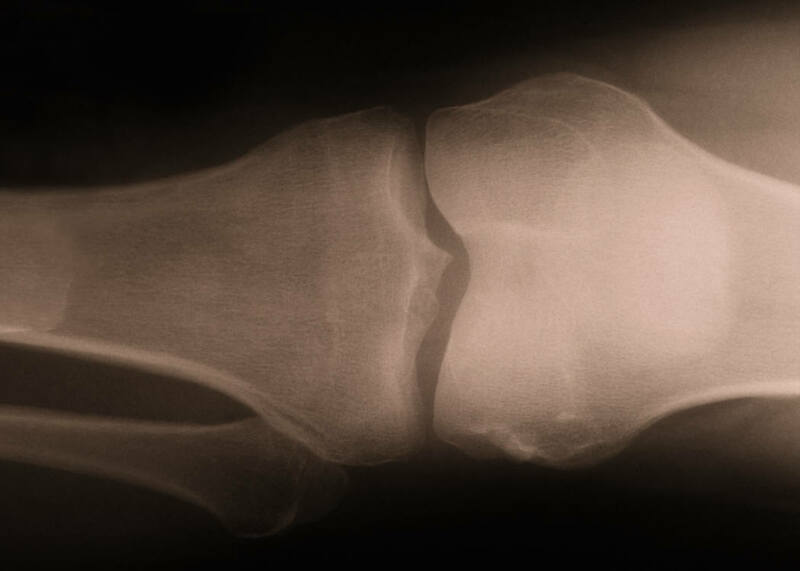 David Rabago, MD, of the University of Wisconsin in Madison and his associates looked at whether prolotherapy is beneficial for those patients suffering from arthritis of the knee. Prolotherapy involves the injection of sugar water or dextrose into joints for the relief of pain. It has been used in different joints for over 75 years but most of the research studies available on its use suffer from poor scientific design and reproducibility. 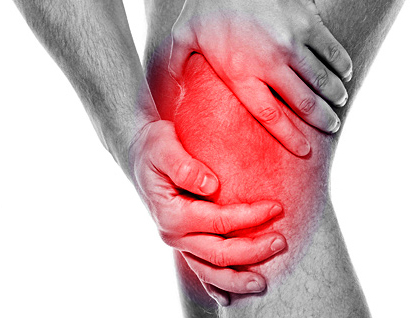 This study involved 90 adults with knee arthritis in one or both knees for at least five years. The mean age of the enrollees was 57 years with 2/3 of the enrollees being women and ¾ overweight or obese. The enrollees were separated into groups. One group received dextrose injections, another received saline or salt water, and a non-injection exercise group. The injections were given at weeks 1, 5, 9, 13 and 17. Prolotherapy required them to make multiple punctures around the knee at various tendon and ligament sites. 22.5 mL of either concentrated dextrose or saline placebo were injected into the knees followed by an intra-articular injection of 6mL of additional fluid. A third arm of the study included patients given no injections but instructed in a home exercise physical therapy program. In the dextrose group, 17 patients received injections in only one knee and 13 had treatment in both knees. In the placebo saline group, 15 had a single knee treated while 13 had both knees treated. During the study, 14 patients in each group used oral non-steroidal inflammatory drugs to relieve pain and discomfort. All patients receiving injections reported mild to moderate pain after the procedure and up to 2/3 used oral oxycodone before or after the procedure. The patients used the Western Ontario McMaster University Osteoarthritis Index to score their pain, function and stiffness. There was a significant difference in the improvement of those receiving the dextrose injections as compared to those receiving saline injections. Ninety-one percent of those receiving the dextrose injections said they would recommend the treatment to others. This was a preliminary study which showed the effectiveness of an alternative therapy in treating a common and chronic condition. It is clear that these findings necessitate a larger study which can look at the correct dosage to inject and to explore how the sugar injections actually work. It appears to be a relatively inexpensive way to relieve chronic pain and is worthy of further study! An investigative newspaper article published in the May 30, 2012 issue of the Milwaukee Journal Sentinel, in cooperation with online periodical MedPage Today, chronicles the increased use of narcotics for chronic pain relief in the elderly. The article highlights how in 2009 the American Geriatrics Society put together a panel of geriatric pain specialists who published geriatric narcotic pain relief guidelines that have led to the dramatic increase in use of narcotics in the elderly. There is apparently no outstanding or solid evidence that Opioids or narcotics actually work better than non-narcotic pain medications in relieving the chronic pain of senior citizens. It is the Milwaukee Journal’s opinion that the members of the blue ribbon panel who made this decision received financial benefits from the pharmaceutical manufacturers who produce narcotic pain pills and were biased in their recommendations. Individual members of the panel received financial rewards from the companies making the narcotic pain pills and the sponsoring organization, the American Geriatric Society, reportedly received $344,000 from Opioid manufacturers. Deaths from any cause were 87% more likely in Opioid users. Cardiovascular complications including heart attacks, strokes, and cardiac death were 77% higher in Opioid users than in users of NSAIDS. In part, as a result of the American Geriatrics Society guidelines, Opioid use for pain relief has increased by over 32% since 2007. Locally, we have seen the proliferation of pain clinics. These clinics, often owned by non-physicians, bear some responsibility for the proliferation of narcotic pain pills on the streets of America being used illegally. Poorly conceived state legislation and the lack of surveillance and monitoring led out-of-state drug pushers to drive into Florida, hire individuals to doctor shop from pain clinic to pain clinic where they accumulate thousands of pills that are sold out of state on the streets illegally. Ultimately this led to a law enforcement and statewide crackdown which drove illegal and legitimate pain specialists out of the state of Florida. 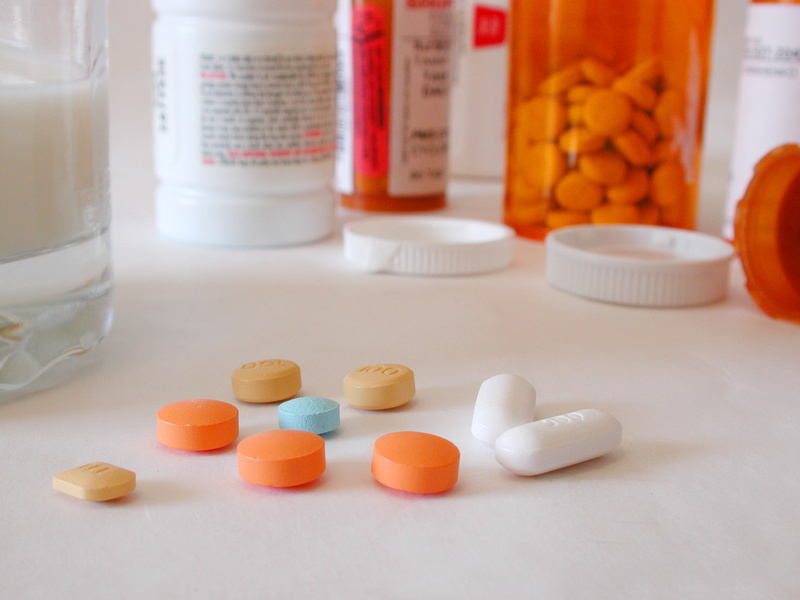 It is almost impossible to find a certified pain physician in Palm Beach or Broward County who will take on a new patient under the age of 65 years old due to the legal hurdles recently imposed on them to crack down on the illegal dispensing of drugs. George Lundberg, MD and Maria Sullivan, MD of Columbia University presented a sane and reasonable approach to pain pill management in MedPage Today in the June 11th issue. They suggested that non narcotic pain products be tried initially. They encouraged doctors and nurses to discuss the side effects of narcotics with patients including constipation, sedation, addiction, and overdose and with long term use the risk of hyperalgesia and sexual dysfunction. They noted the high abuse potential of short acting Opioids such as Dilaudid (hydromorphone) and Vicodin (Hydrocodone/acetaminophen) and pointed out that these drugs may be good for short term initial pain relief but not chronic use. They reviewed the pharmacology of methadone and pointed out that it is responsible for far too many overdoses due to its basic metabolism and mechanism of action. They suggested never using it in patients who have not taken Opioid narcotics regularly. They discussed the need for patients to keep controlled substances in a secure and locked place to prevent theft of the medication. For those practitioners who prescribe Opioids for chronic pain they suggested having a chronic pain narcotic protocol including a medication contract with the patient that outlines its correct use. Psychological evaluation for abuse potential should be considered in all chronic pain patients prescribed narcotics. Urine toxicology screening periodically should be performed to look for abuse. There are clinical interview screening materials such as the SOAPP (Screening and Opioid Assessment for Patients with Pain) form which helps identify individuals with a high risk of abuse. Stratifying your pain patients into low, medium, and high risk individuals may help distinguish the level of surveillance necessary to safely treat the patients. It would make great sense for the state of Florida and the Florida Medical Association to develop a common sense pain management course for practicing providers to take prior to renewing their state medical licenses. The course would cover the newer pain protocols and medicines and review the safe and monitored use of Opioid narcotics. We must treat and eliminate or reduce pain. We just need to do this in a safer manner. As part of the government initiative to modernize health information recording and exchange , doctors and health care providers are encouraged (with financial incentives) to prescribe medications using the computer. 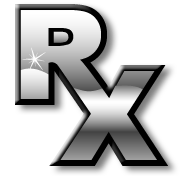 This “e-RX” system allows you to send prescriptions to the patients’ designated pharmacy right from your computer screen with a few clicks and turns of your computer mouse controls. The only medications you are not permitted to prescribe are narcotics, controlled substances and pain medications with narcotic contents. At the same time this initiative is occurring, there is a massive crackdown in the State of Florida on prescribing medications for pain. Sloppy legislation in Tallahassee by the State Legislature led to the opening and growth of “pill mills.” Drug addicts and suppliers from all over the country routinely travelled to Florida to obtain massive quantities of prescription medications from these fraudulent facilities staffed by criminal physicians. The medications ended up on the streets causing numerous drug and alcohol related deaths around the country. The “sloppy” Florida State Legislature then attempted to rectify the problem by passing new rules and regulations that closed the “pill mills” with the help of the police and drug enforcement authorities but has frightened the legitimate physician population into not being willing to prescribe for legitimate chronic pain. Their actions included updating physicians’ online profile with the state licensing agency to declare whether you write narcotic scripts for chronic pain or not. If you reply “yes” you are apparently placed on a list of “chronic pain” prescribing doctors that the public can access as well as the criminal elements looking for doctors to write scripts for cash. At the same time legislation now requires doctors to take specific courses to prescribe some of the newer pain delivery products necessitating the physician to leave their practice to train on the use of the new medications. The result is that legitimate neurologists and anesthesiologists are shying away from seeing chronic pain patients less than 65 years of age even if they have been referred and have legitimate needs for pain medications. This brings me back to computerized prescription ordering. If you are trying to track narcotic prescriptions, why prevent the doctors from using the computer to prescribe controlled substances? What is easier to track and trace, a computerized order or a hand written prescription? It would seem that computerized record keeping through electronic order entry would be the preferred method of tracking narcotic prescriptions.